Delhi-based digital marketing firm Pulp Strategy Communications Pvt Ltd has launched 'Trails of India', a social and lifestyle platform for the biker community across the country. Bikers across the country can share their riding stories, create detailed mapped trails of motorcycle travels and share information on the go. Bikers can create online groups to create their exclusive space for offline groups, post events, get invites and information on rides and events across the country, a company statement said. Riders can also post queries in the forum section to get relevant answers from a team of experts and other seasoned bikers. "With bike-riding picking up, long travelling and touring on bikes has become an extremely fast growing passion related culture," said Ambika Sharma, founder of Trails of India and an avid biker herself. Sharma added that the platform is currently free for users and the company has plans to generate a revenue stream by tying up with brands in the future. However, she refused to divulge details. 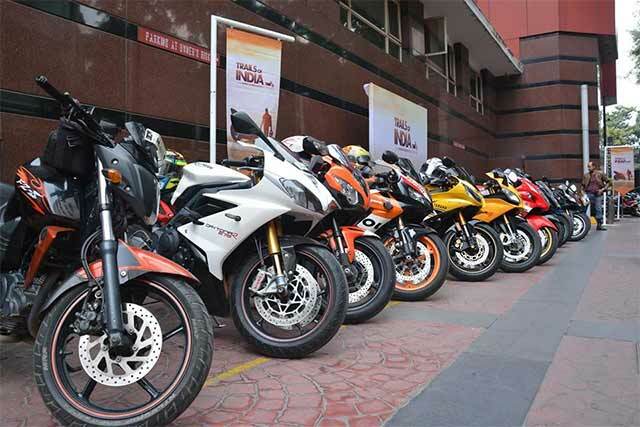 "Consolidation of biker community and making the platform valuable to them is the current focus," added Sharma. An online platform, Trails of India is available on both web and mobile platforms (iOS and Android). According to the information available on the app's home page, the chief product differentiator of the platform is its unique feature to record a journey in real-time. Since the app is GPS enabled, one can highlight spots like the last fuel station along the route, a good eating joint, things one must carry while riding on the route, precautions to take, what to do if stranded in a place, etc. Besides, Trails of India also offers information on after-market parts, bike companies and information on technology specific to biking. Founded in 2011, Pulp Strategy is an end-to-end communications agency that offers its clients services and solutions in digital media marketing, brand activation, retail engagement design, brand strategy, creative content, technology and development. In October, Tripoto Travel Pvt Ltd, which owns and operates travel itinerary portal Tripoto.com, that operates on a similar crowdsourced information model raised an undisclosed amount in funding from investors led by 500 Startups, IDG Ventures and advantEdge Partners.